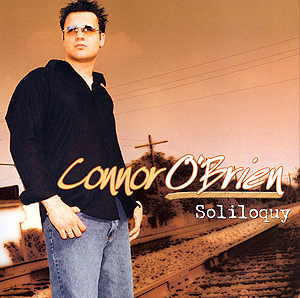 "Soliloquy" followed the debut EP as Connor's first full length feature album. Recorded in studios from Cleveland to Los Angeles, it marked his debut as a songwriter of several tracks, as well as his first domestic radio airplay with the lead single, "Time". Second to be released was the surprise smash "Ready To Fall", which not only garnered major regional radio play, but was also a national semi-finalist entry in Sony Music and Clear Channel's "Radiostar" competition hosted by Ryan Seacrest and syndicated nationally on stations across the country. The album culminated with a feature cover story in "Scene Magazine" the Midwest's largest news weekly. Featured Singles: "Ready To Fall", "Time", "Promise You This"